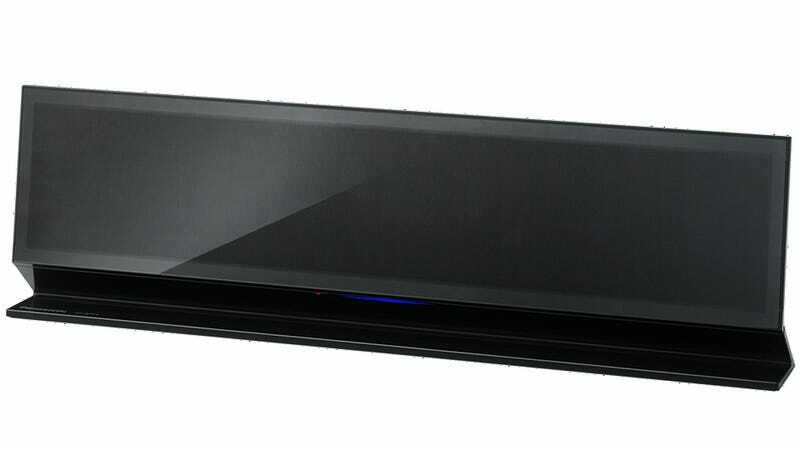 We're not saying Panasonic's SC-AP01 wireless speaker bar is a connectivity snob or anything. But it will only stream your music from an Apple device with AirPlay connectivity. It doesn't have Bluetooth, a dock, or even a line-in jack. Available in June for $170 the discerning speaker packs 10 watts of total power and speaker cones made from nano-sized bamboo fibers. So in a pinch, you could use it to feed a starving panda. An accompanying iOS remote app lets you adjust the SC-AP01's sound and EQ parameters, and while you will find a USB port on the back, it's only there for keeping your iOS device charged. At no point will the speaker acknowledge a connected device's existence.